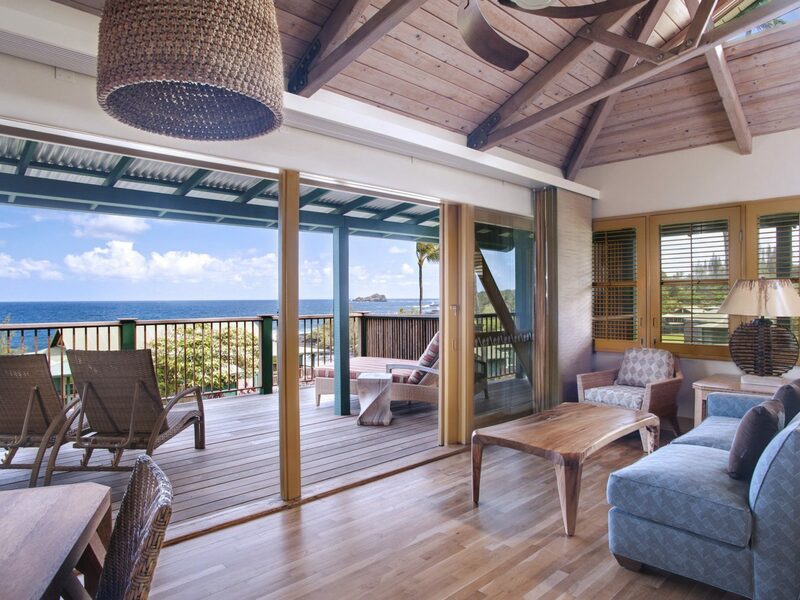 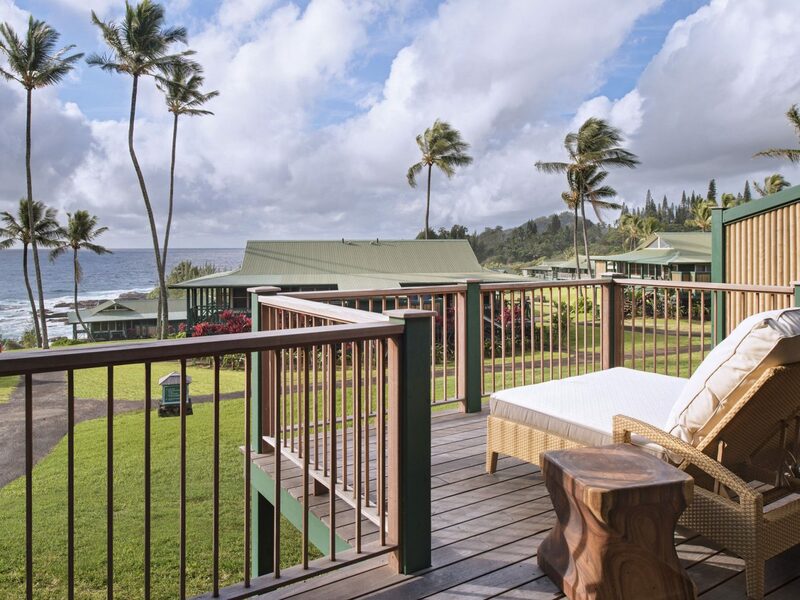 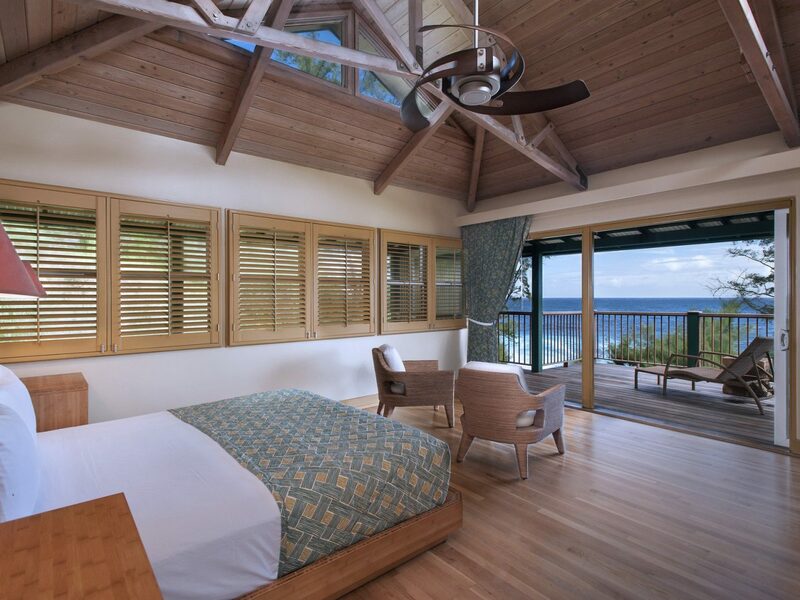 JS Editor Lindsey Olander checks into the island’s luxe oceanfront resorts, coastal bungalows, hilltop sanctuaries, and rain forest boutiques. 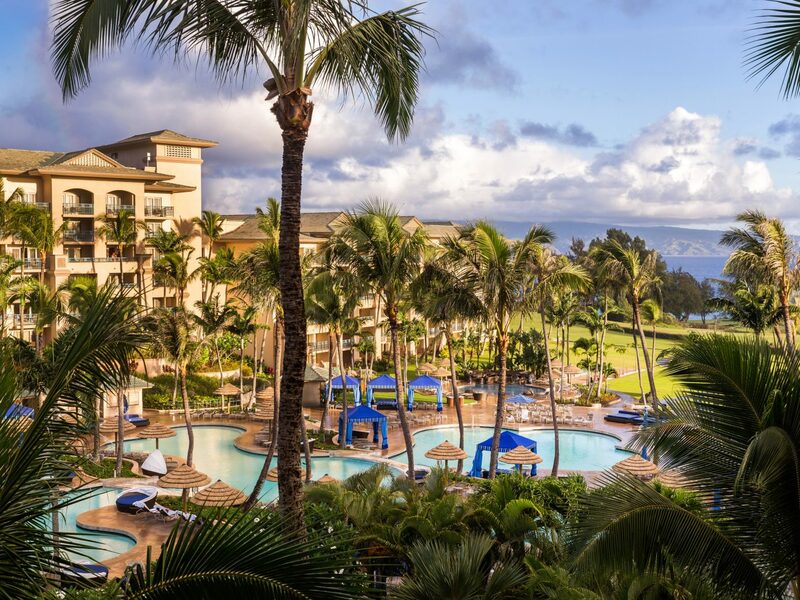 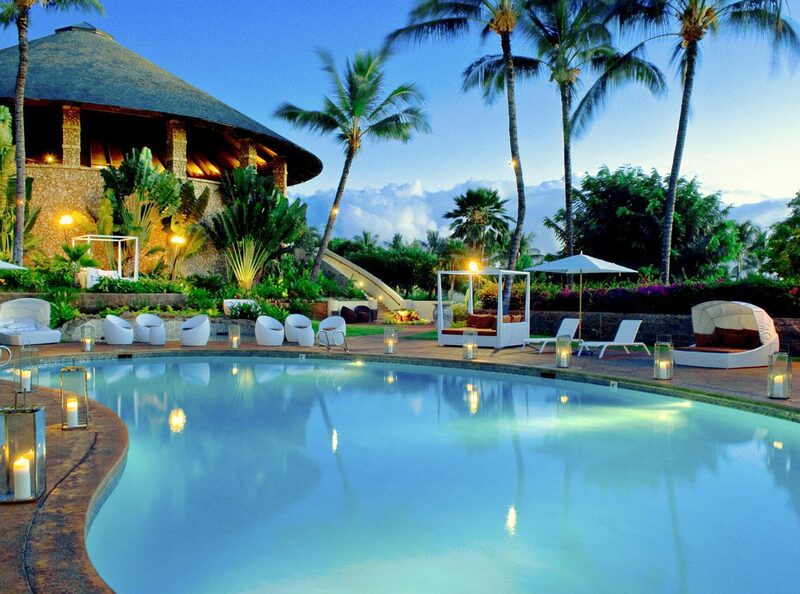 One of the best hotels in Maui, this sprawling, 40-acre resort on Wailea Beach is all about the amenities, from the nine free-form pools and three golf courses to the 11 tennis courts, massive fitness center, spacious spa, and five bars and five restaurants. 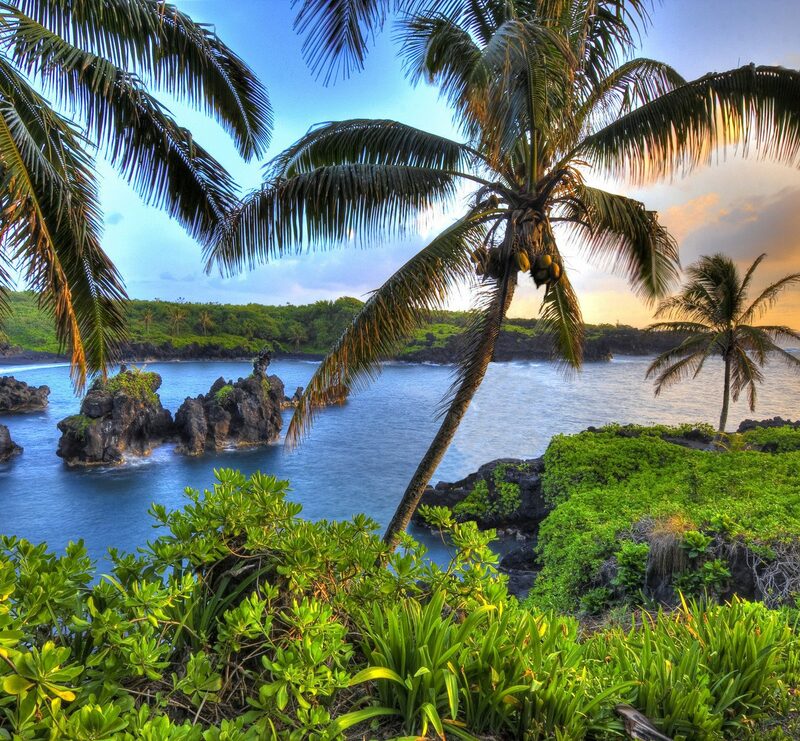 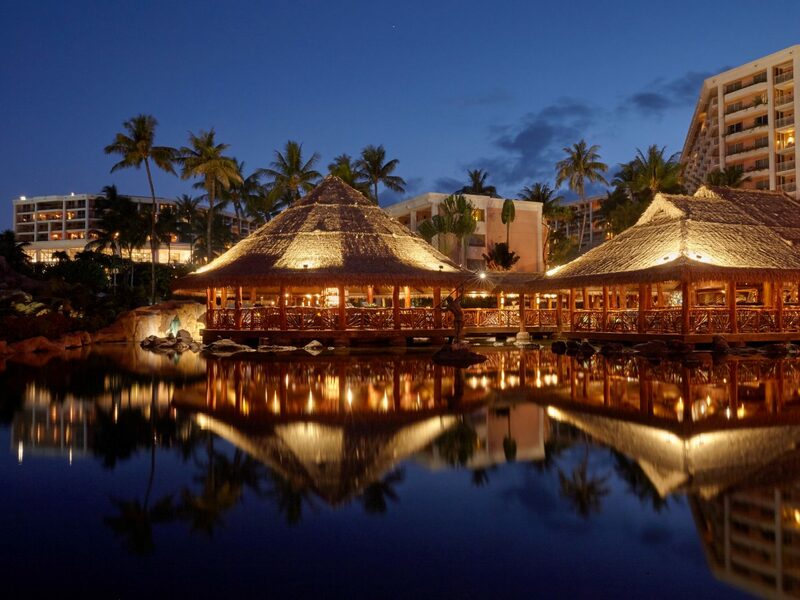 It's great for families (just look to the Tarzan rope swing over the pool), but a no-brainer for honeymooners, too, who love the couples' bath salt spa treatments and dinner at Humuhumunukunukuapua'a, a gorgeous open-air restaurant floating on a tiki torch-lit lagoon where 2016 Maui Chef of the Year Michael Lofaro prepares sublime takes on seasonal Hawaiian cuisine. 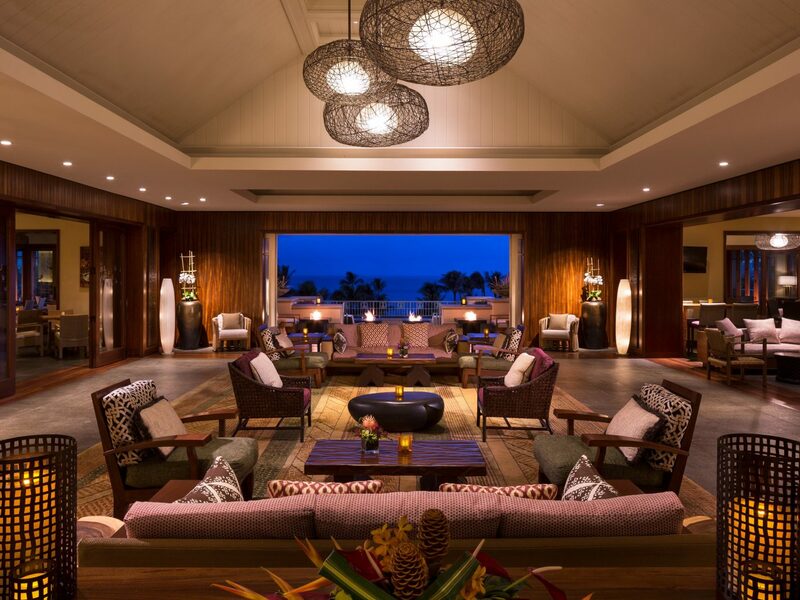 Guests staying at Andaz Maui walk through a lantern-lit pathway to reach an open-air lobby, where loungers line a central sandpit and treelike pillars frame the ocean beyond. 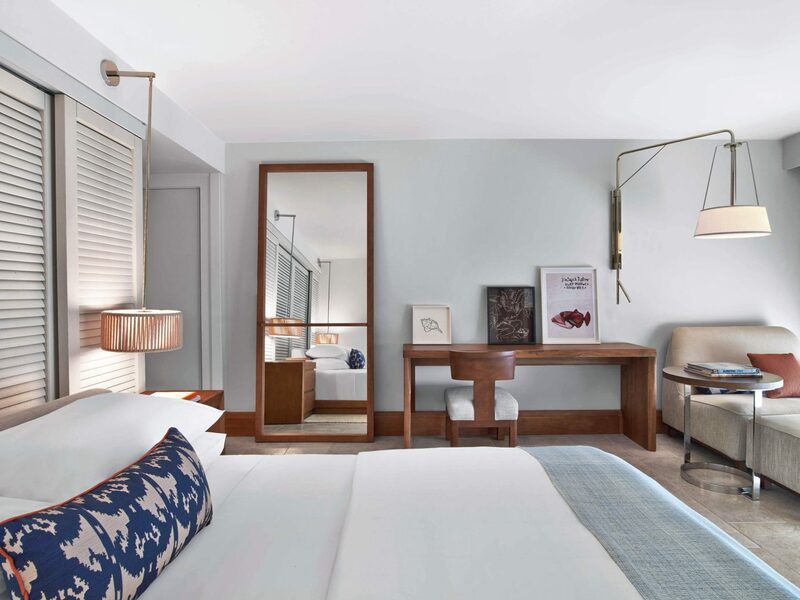 The hotel's look is sleek and modern, all rough-hewn stone and gleaming woods and marble, with guest rooms that feel more like city apartments (think furniture arranged to maximize space with ikat and batik prints thrown in). 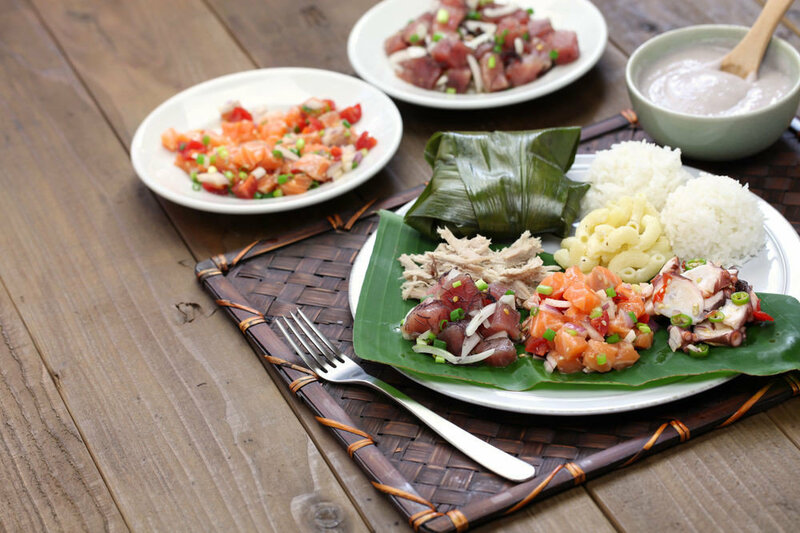 Its setting on Mokapu Beach is another selling point as are the two destination restaurants—an outpost of seafood heavyweight Morimoto and the hibachi-style Ka’ana Kitchen, which spotlights ingredients foraged and grown by local farmers and purveyors. 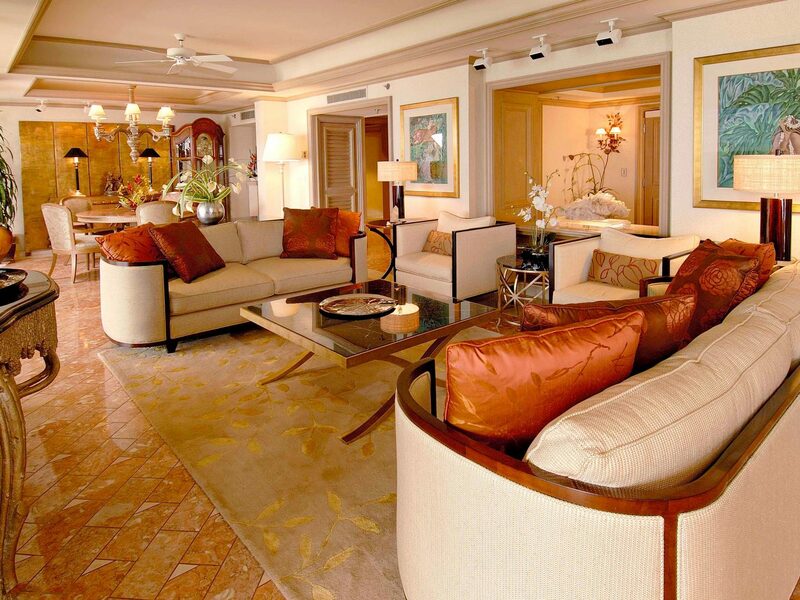 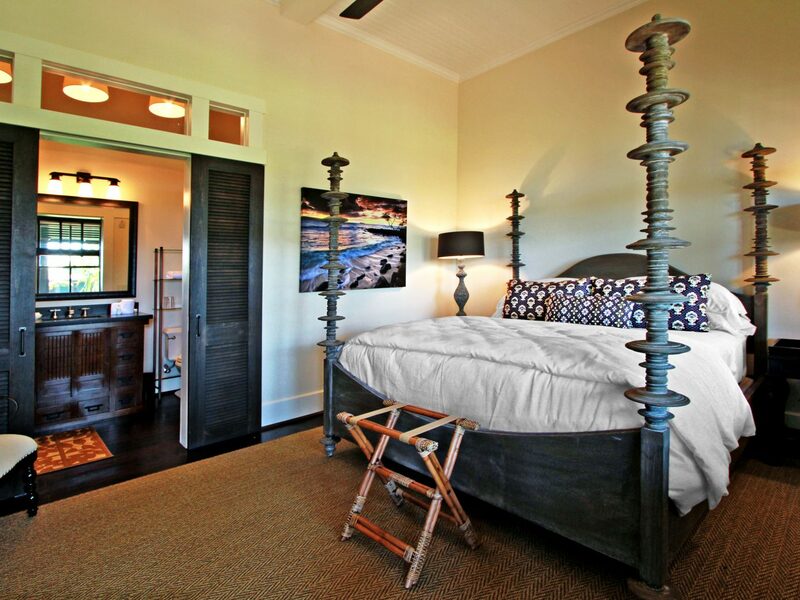 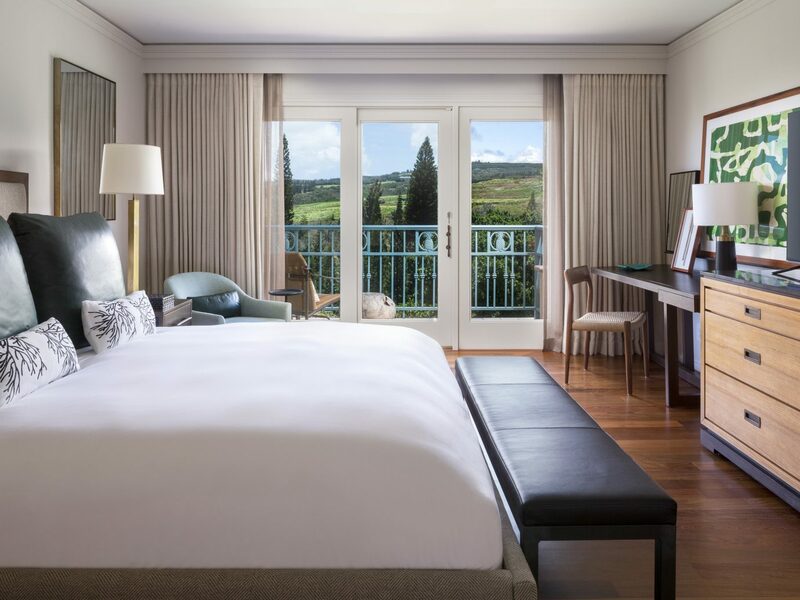 Hawaii’s first and only Relais & Châteaux property is all about romance. 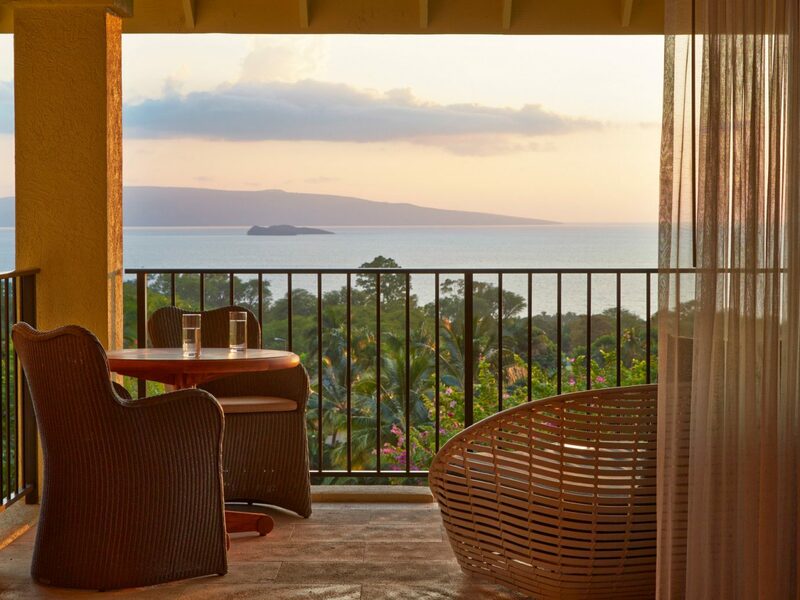 A 15-acre swath of mango trees, koi ponds, and charming bridges in Wailea’s foothills set the tone for this adults-only getaway, whose 72 suites feature kitchenettes, open showers, and patios or balconies that look out towards the Pacific. 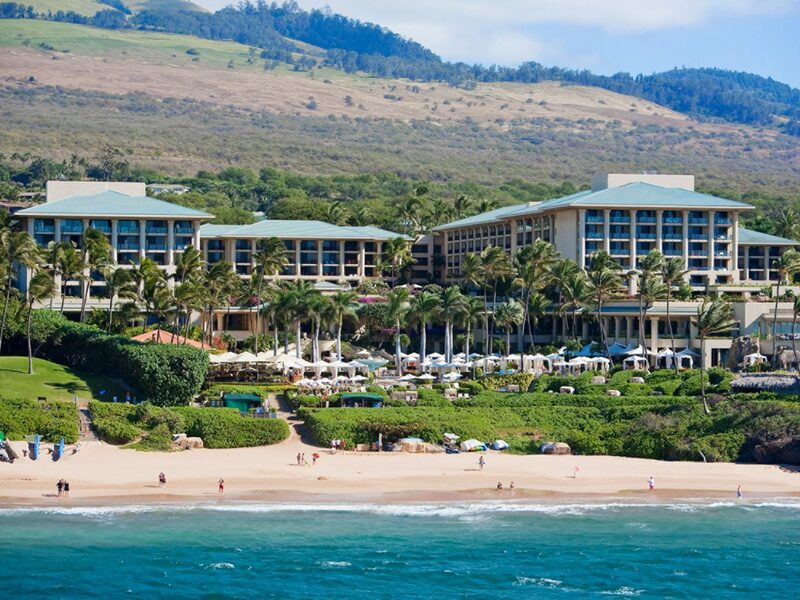 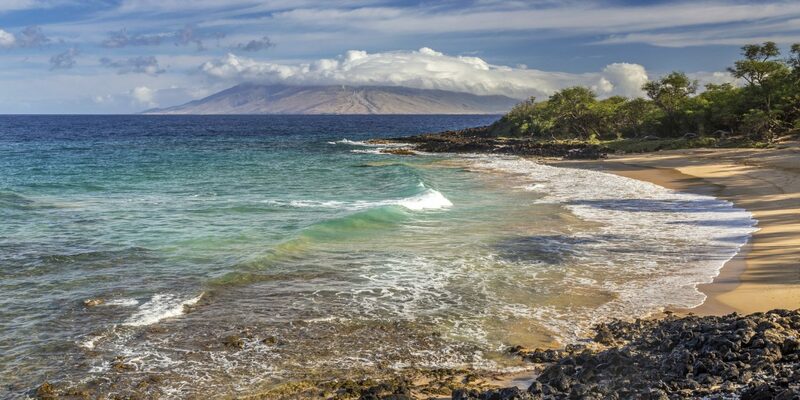 There’s plenty to keep you on property, from the award-winning restaurant to the sophisticated cabana-lined pool—but when the beach calls (and it will), private drivers are at the ready to take guests down to their own stretch of Wailea sand. 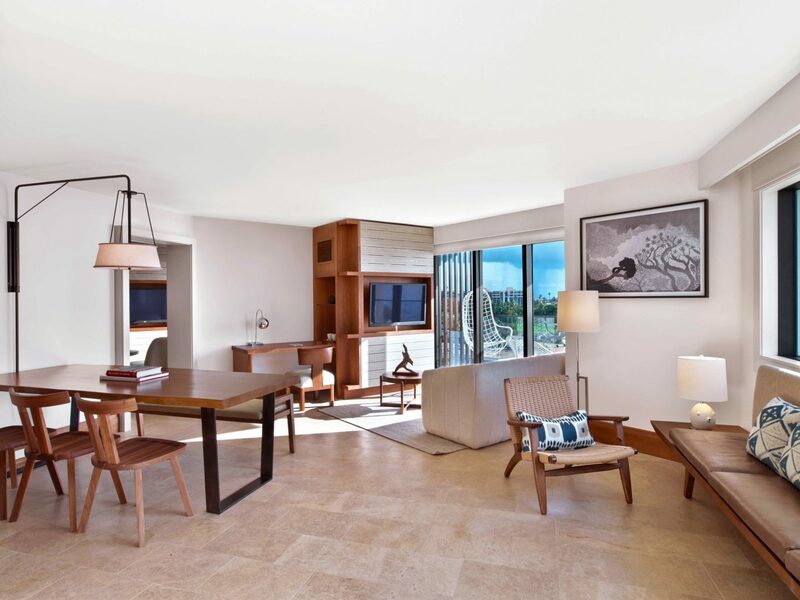 Despite what its 90s era, mid-rise façade might suggest, the Four Seasons is as swank as they come. 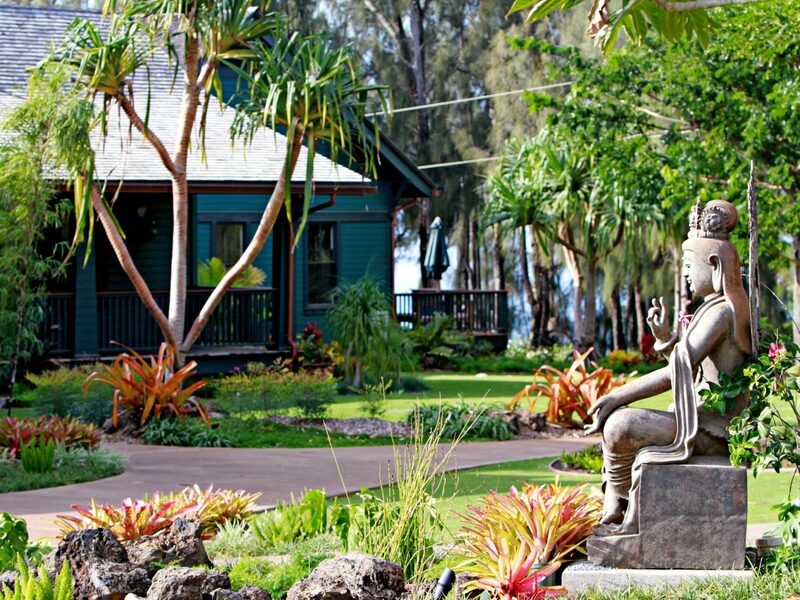 Inside, the spaces are airy and light-filled and decorated with original works of Hawaiian art and potted plants. 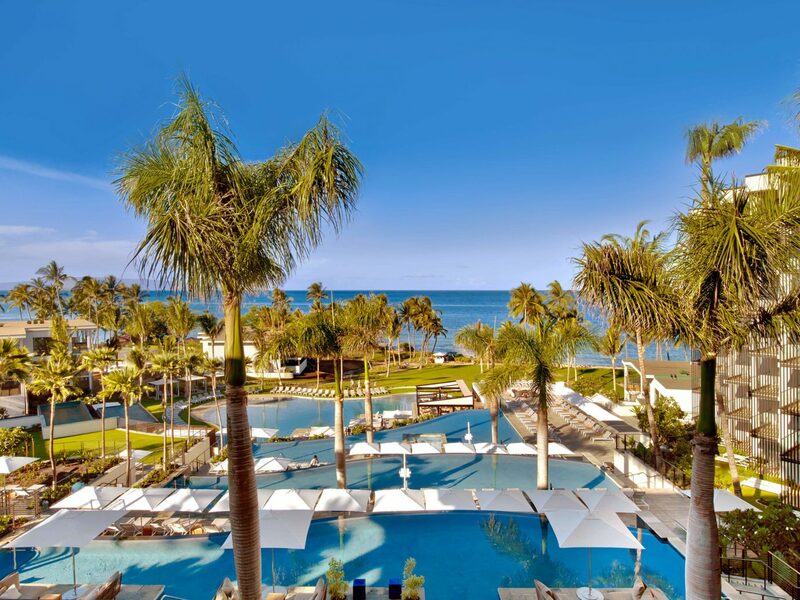 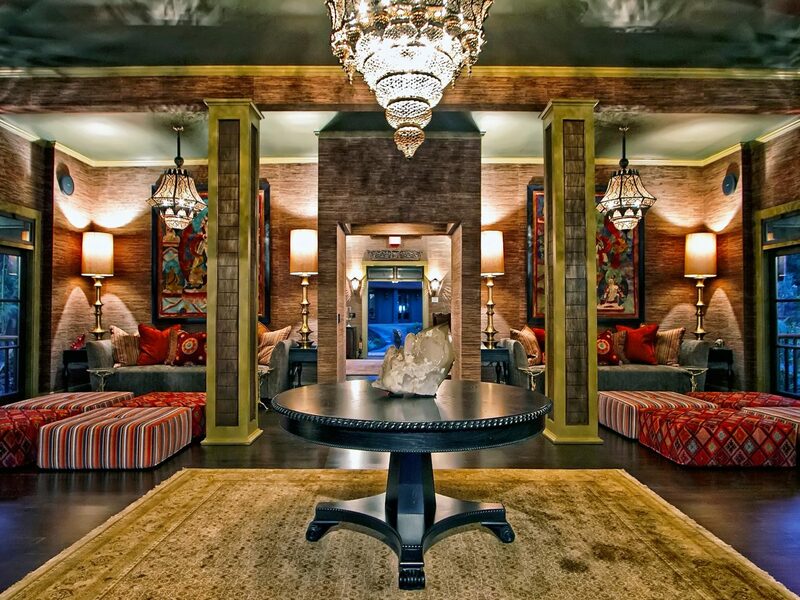 At 380 rooms, the resort is large, but the service remains first-rate and the food scene is impressive. 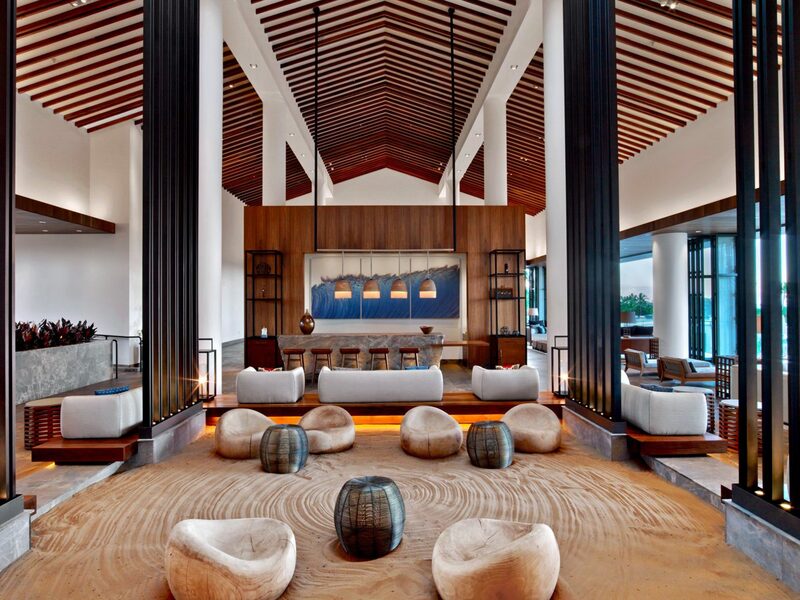 Check out Wolfgang Puck’s Spago for East-meets-West flavors like Big Island moi steamed "Hong Kong"-style or beachside Ferraro’s for Italian classics like spaghetti carbonara and pappardelle lamb ragu. 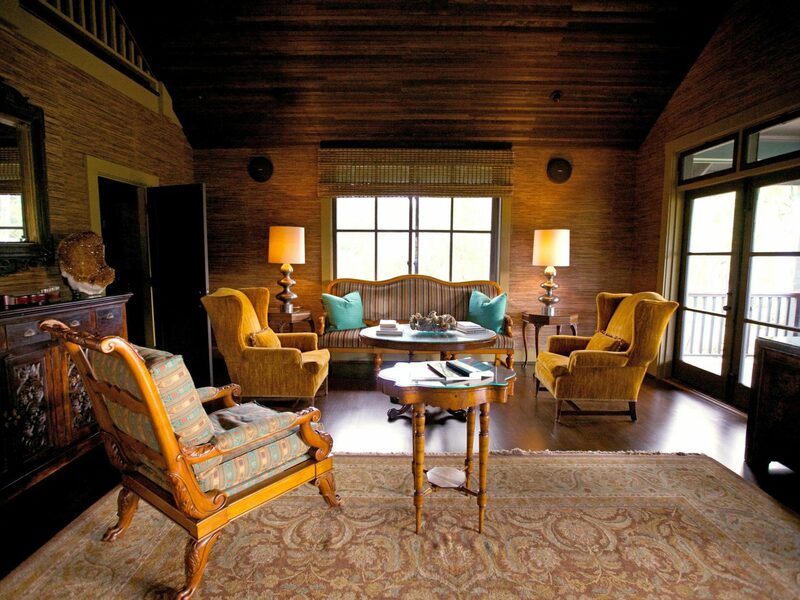 This restored 1909 upcountry estate turned educational wellness retreat is a true escape for the soul: there are 24 rooms in plantation-style buildings surrounded by six acres of organic gardens and lush lawns, an open-air lounge with swinging rope hammocks, and a meditation lawn overseen by a stone Buddha. 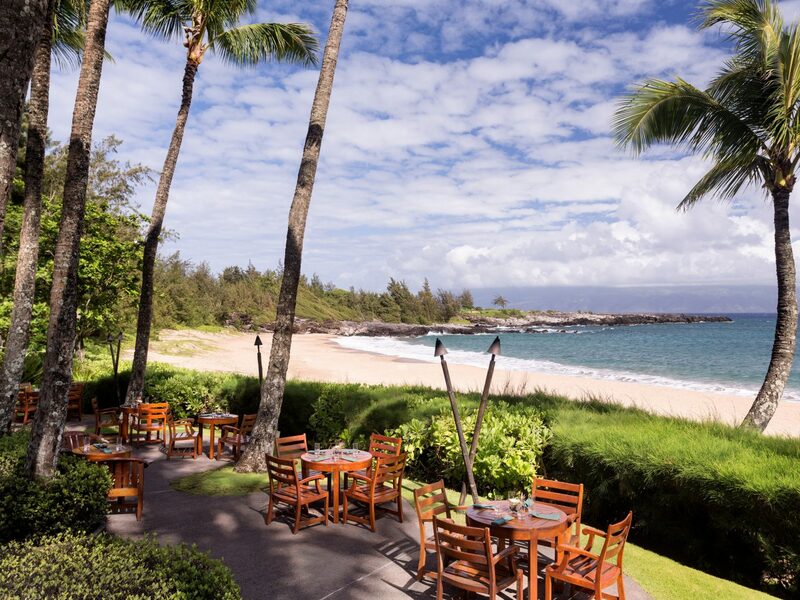 Other perks we love include yoga classes, musical performances, sustainable dinners with ingredients from Lumeria’s own gardens, and a covetable location, just minutes from Maui’s legendary north shore surf. 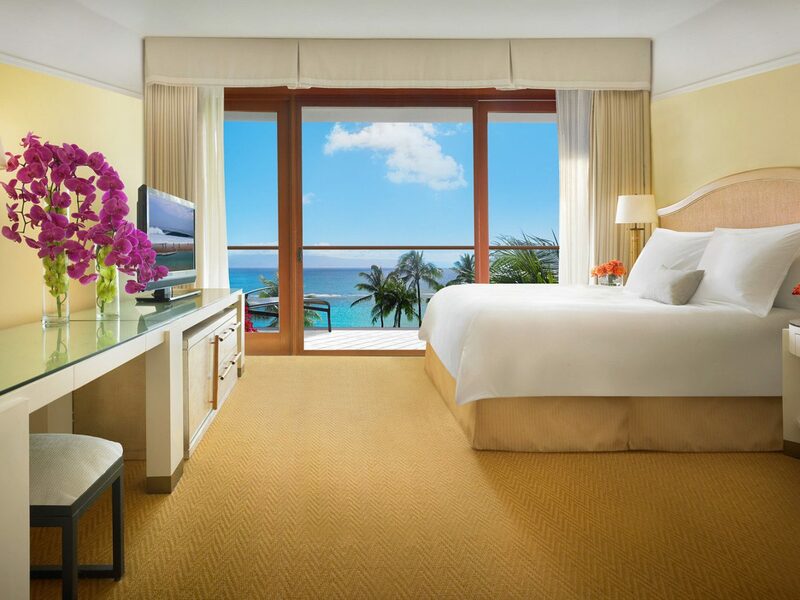 Despite being one of the only all-inclusive resorts in Hawaii, Travaasa Hana outshines even some of the island's most luxurious properties. 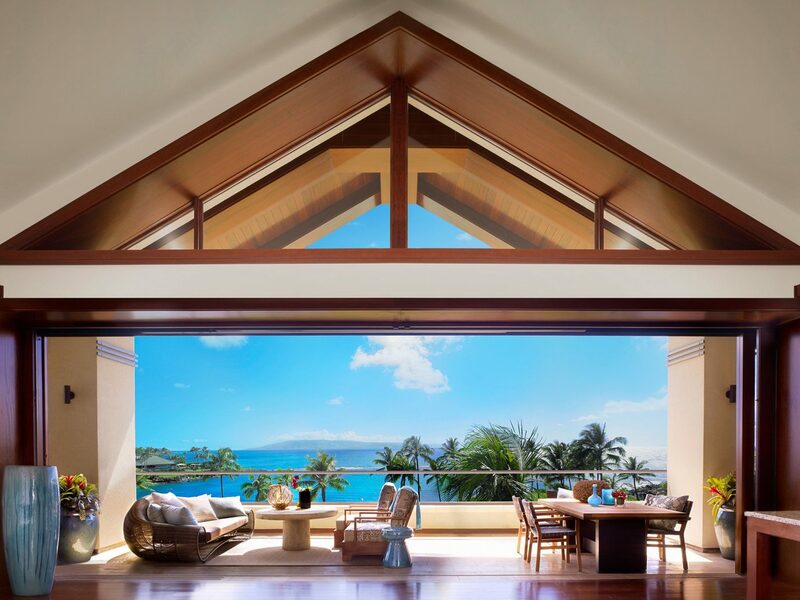 This 70-acre retreat on Maui’s quiet eastern coast is the antithesis of its west coast glitterati: 70 garden cottages and suites, built from sustainable materials like coconut wood and bamboo, come without clocks, TVs, or radios. 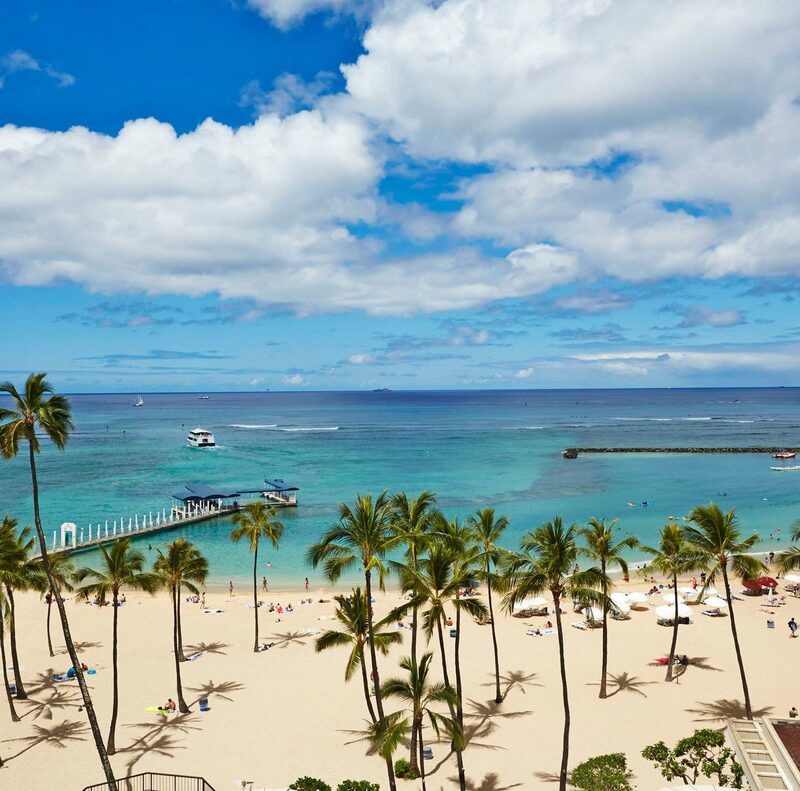 Instead, you wake to the sound of the waves and spend the rest of daylight following your custom itinerary—horseback riding along the beach, perhaps, or learning to Hula or paddle board. 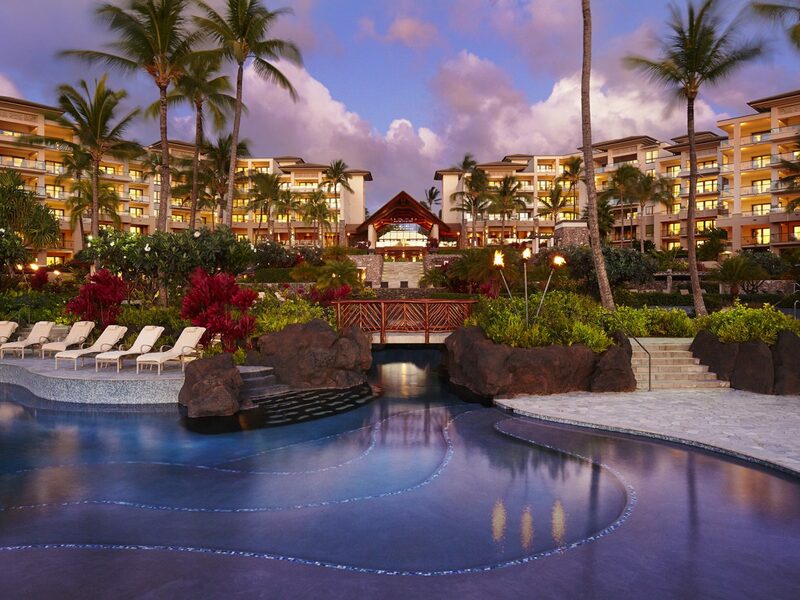 Whether you’re here to detox or tone up, make sure to pay a visit to the spa, known for its traditional Hawaiian massages. 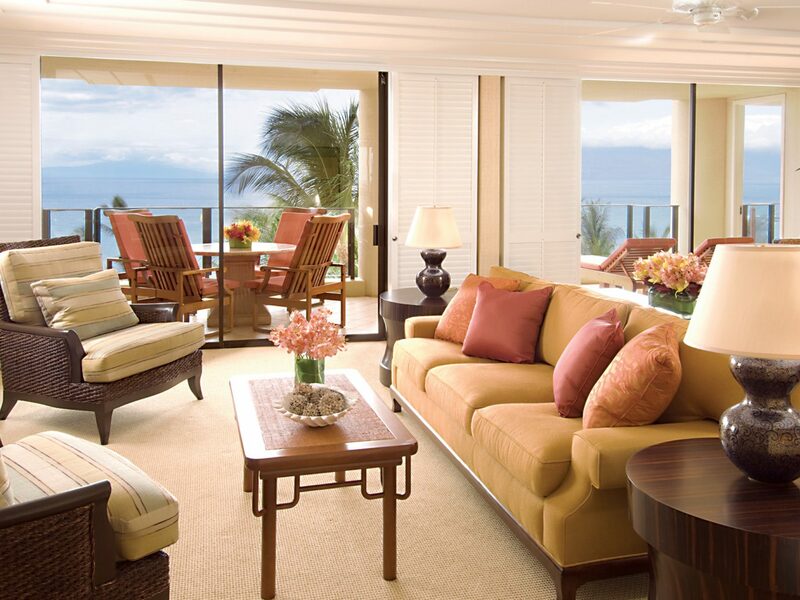 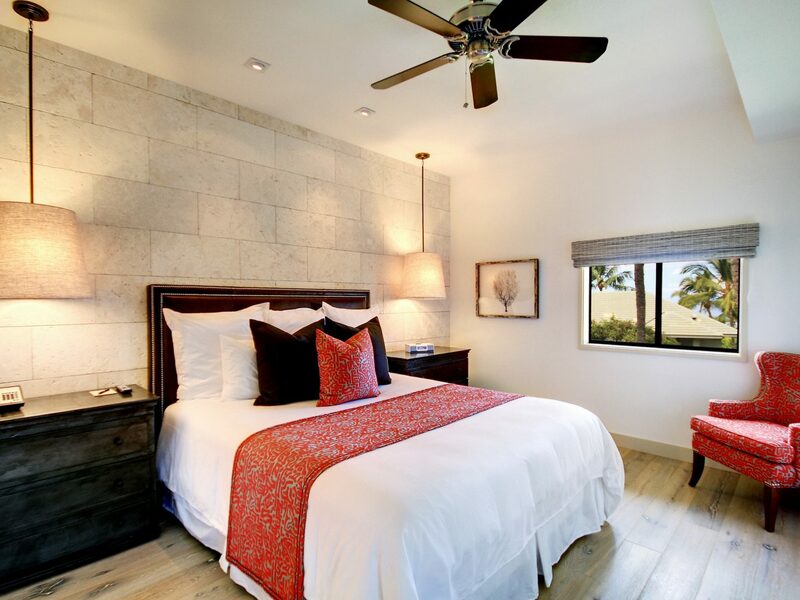 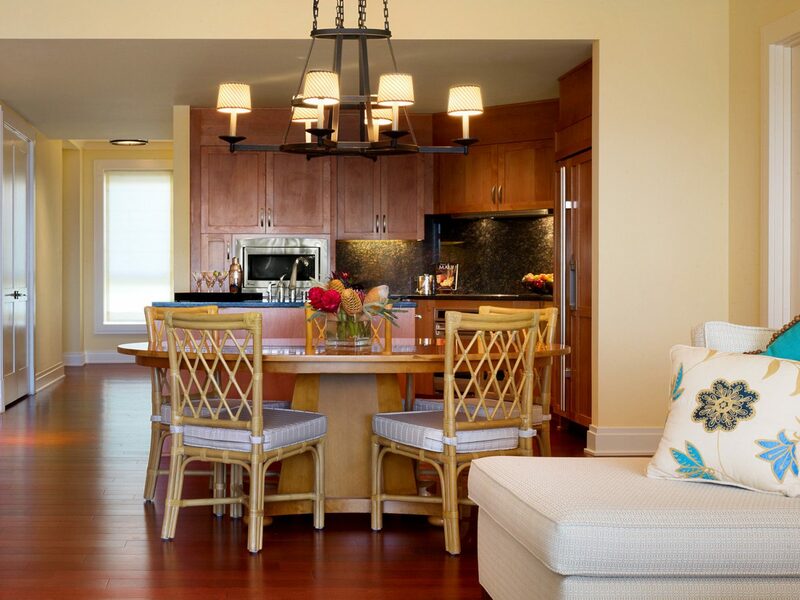 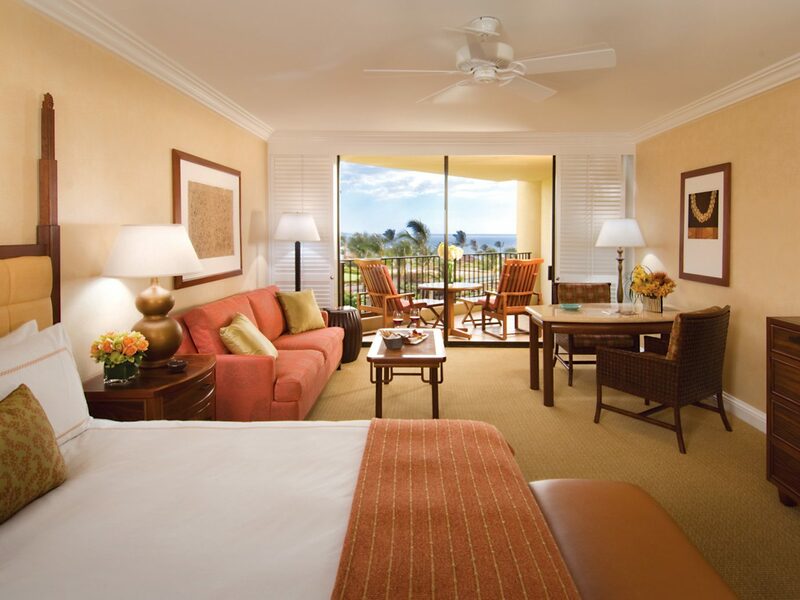 Originally conceived of as a timeshare, the Montage Kapalua Bay has 50 spacious single or multiple-bedroom condos facing Kapalua Bay Beach, one of Maui’s best stretches of sand. 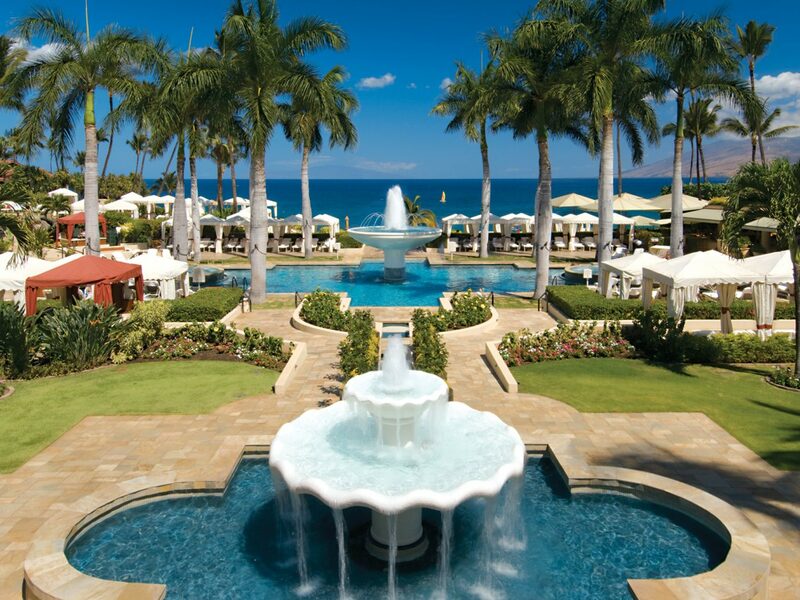 Among the resort's blissful perks: lomi lomi massages and seaweed wraps at the spa, snorkeling in a protected bay, cocktails by the lagoon-style pools, and the Old Lahaina Luau, a traditional barbecue that attracts revelers from around the island. 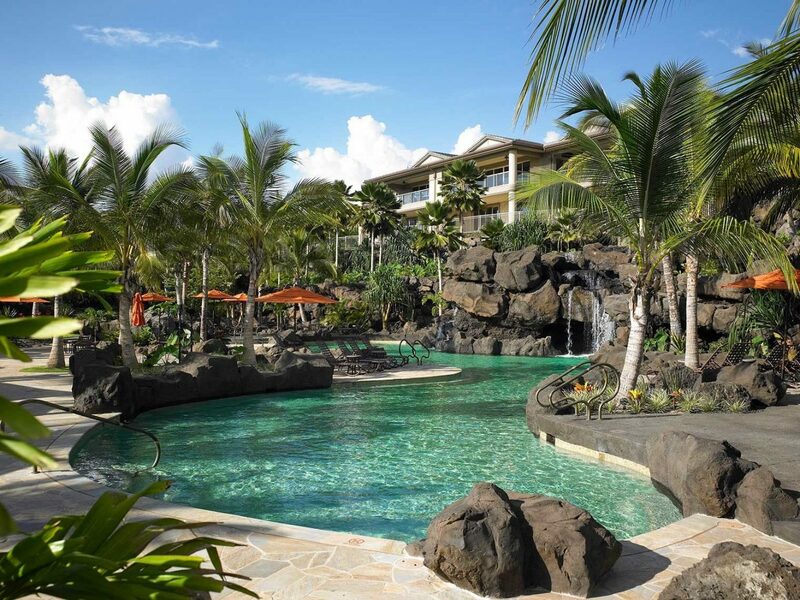 If you have kids in tow, don't miss the hotel’s aquatic adventure and scavenger hunt. 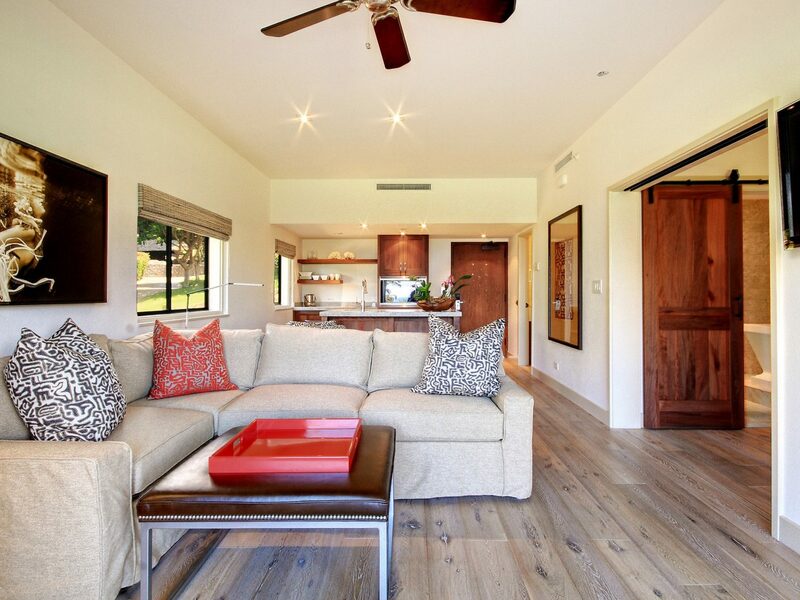 There's something for everyone at this airy hilltop retreat. 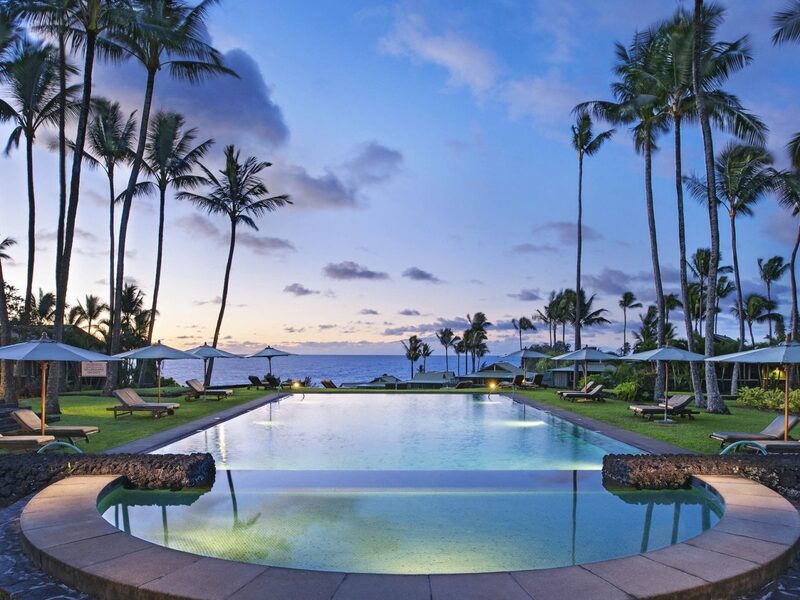 Lounge by a 10,000-square-foot three-tier pool; go for a Hawaiian-inspired body treatment at the spa; and spend leisurely dinners and lunches at the resort's six bars and restaurants, with favorites like the laid-back Burger Shack and Alaloa Lounge (the place to go for small plates and fancy cocktails). 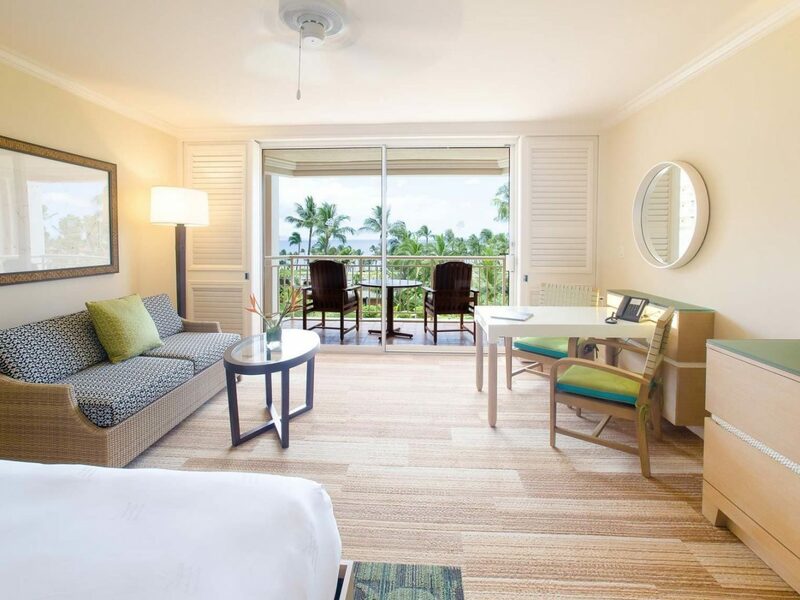 What we love most is the hotel's partnership with Jean-Michel Cousteau’s Ambassadors of the Environment program, which hosts activities for guests like hiking, nature photography, snorkeling, and whale watching.